Accounts given since the leaking of the report that plunged Muckamore Abbey Hospital into crisis have served to illustrate the picture painted of a hospital where a “culture of tolerating harm” was perpetuated. Substantiated reports of assaults by staff on patients and details regarding the use of a seclusion room described as a “dark dungeon” have cast further aspersions on the hospital’s ability to care for vulnerable patients. 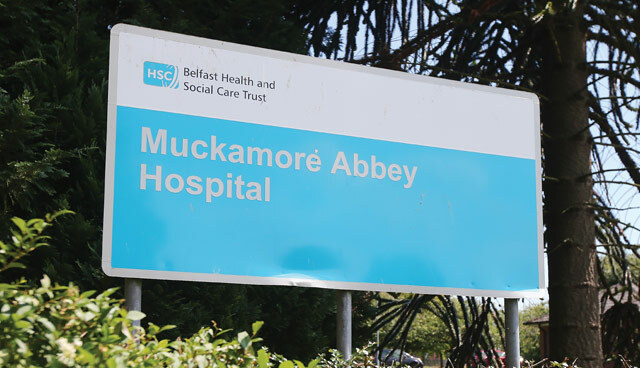 The Belfast Health and Social Care Trust, which has responsibility for the management of Muckamore, admitted that police had been called to the hospital 130 times over a period of five years, with three occasions said to have been in response to reports of staff assaulting patients. The trust said that it was operating within a safeguarding policy and that the five main reasons for the police calls had been: assaults by patients on members of staff; assaults by patients on other patients; patients being absent without leave, but not missing; missing patients; and staff reporting patients attending appointments outside of the hospital’s grounds and/or requesting police escorts for the most vulnerable patients. Following the claim by a mother of a patient that her son had been kept in a seclusion room akin to a ‘dark dungeon’, the trust published photographs of the room before and after its refurbishment in 2018. The before pictures showed a square room with padded walls and nothing but an armchair and no natural light, while the after pictures show that the room is no longer padded and now contains a window, an intercom, access to a toilet and garden, and a flat, bed-like piece of furniture has replaced the armchair. A Freedom of Information request revealed that the room had been used 1,797 on 21 patients in the five-year period from the beginning of 2014 until the end of 2018, with it being used 745 times in 2015 alone, almost twice as much as the closest single-year figure. Belfast Trust said that the seclusion room was used in accordance with national guidance to isolate behavior believed to be potentially of harm to both the patient and others. The trust also said that the process of accessing the room has now been reviewed; only consultants can now recommend the use of the room, with medical officers no longer permitted to approve access. A number of searches were carried out by the PSNI’s Pubic Protection Branch in January 2019 across counties Antrim and Down as part of the investigations. Overall, 158 incidents regarding Muckamore have been reported to the police. Sinn Féin MLA Pat Sheehan said that he had spoken with nurses in Muckamore, who had described to him a hospital at “crisis point”. 19 staff members have been suspended as a result of investigations being carried out by the PSNI and the Belfast Trust, including five substantiated allegations of assault on patients, and the number of those on sick leave due to stress, already high, is expected to rise. Reports emerged of the police being called while these investigations were ongoing as staff had wanted to use the seclusion room, but were unable to due to the ongoing inquiries and contacted the police to restrain a patient. In July 2018, Belfast Trust released a statement saying that it “apologises unreservedly” for the treatment of patients and the stress endured by their families. Department of Health permanent secretary Richard Pengelly apologised on behalf of the Department in December 2018. With Pengelly pledging to have moved all vulnerable long-term patients from the facility by the end of 2019, Mencap, a charity that supports those with learning disabilities, said it was appalled to learn that 38 patients remained in Muckamore because alternative accommodation could not be found for them. “That is 38 men and women who are left living in what is an institution and that in effect means they are being deprived of their liberty. It isn’t good enough and we can’t accept that it’s just to do with lack of funding,” director Margaret Kelly said. Patients’ families had been told that staffing levels were at critical lows and the shortages caused the temporary closure of a psychiatric intensive care unit in the hospital. Agnes Lunny, chief executive of Positive Futures, another charity helping those with learning difficulties, called on the Department of Health to issue its action plan as soon as possible. “If the Department is leading on this, then the Department needs to be holding people to account for the achievement of that. We need clear action, we need to know who is going to do what by when,” he said. Calls for a full public inquiry have only grown stronger with each revelation; the DUP’s MP, Gavin Robinson, has written to Secretary of State Karen Bradley MP making a formal request that the Northern Ireland Office (NIO) open an inquiry into the matter. Following the NIO’s response, which demurred given that health is a devolved matter, Robinson accused the office of “disinterest”. “I am sure the NIO have noticed that we haven’t got an Executive. Therefore we don’t have a minister locally capable of making the decision under the Inquiries Act. The only person with locus is the Secretary of State. I think it’s hugely regrettable, but it follows a long track of disinterest in serious issues affecting people in Northern Ireland. There’s a clear need for political accountability and ministerial interest in what is a most scandalous situation,” he said. Robinson alleged that the response had simply confirmed his fears and those of the families affected, that Belfast Trust “adopted a position of ‘nothing to see here, move on’”.